Limited space available, next classes will begin in Spring 2019. 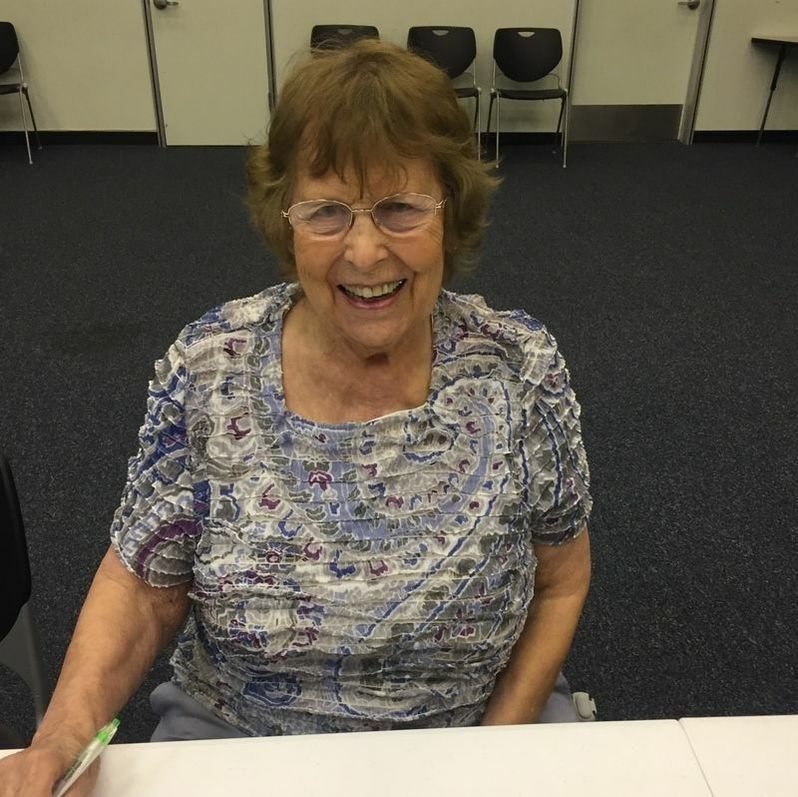 After hearing about the A Matter of Balance program from a friend, a flyer at the Modesto Senior Center, and the Healthy Aging and Fall Prevention Summit Adlefa decided to sign up for the class to improve her strength and balance. At the conclusion of the program Adelfa said, “I am now more motivated to be consistent with an exercise plan, stay positive and work on fall-ty habits I have. I have also installed night lights in my home, made sure rugs are secure to the floor and always have three points of contact to prevent falls.” She also feels motivated to maintain good health and plans to continue with the Young at Heart classes provided by Healthy Aging Association. Vicki and Al heard about the A Matter of Balance program from the Young at Heart exercise class they attend at their church. Vicki said, “After having a decline in my balance, my husband falling into the pool a few times, and hearing good things about the class from others who had taken it I decided to sign us both up for the class.” A few things Vicki and Al liked about the A Matter of Balance program included group sharing, learning strategies for safety, and letting go of a lot of fears. After completing the program they mentioned, “ We now have less of a fear of falling and we are using some of the strategies discussed in class to maintain safety. We have also purchased equipment such as a cane, walker, and safety ladder to help prevent falls in and around the home.” Vicki and Al are also working on installing grab bars and stair railings in their home to help prevent future falls. ​Vicki heard about the A Matter of Balance program from a friend and after experiencing previous falls she decided to join the class. 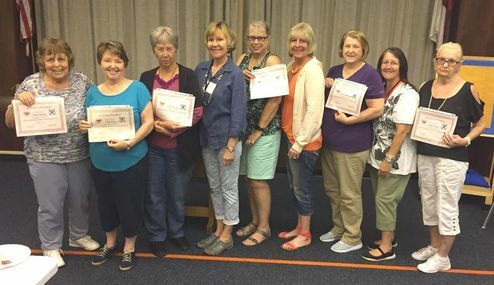 Vicki said, “I enjoyed the support from the small group setting and the instructors were very clear, supportive, and knowledgeable about how to prevent falls." As a result of the program she also mentioned, “ I now think ahead to avoid stumbling which could lead to a fall. I have also created a safer environment at home and feel stronger from the A Matter of Balance exercises." 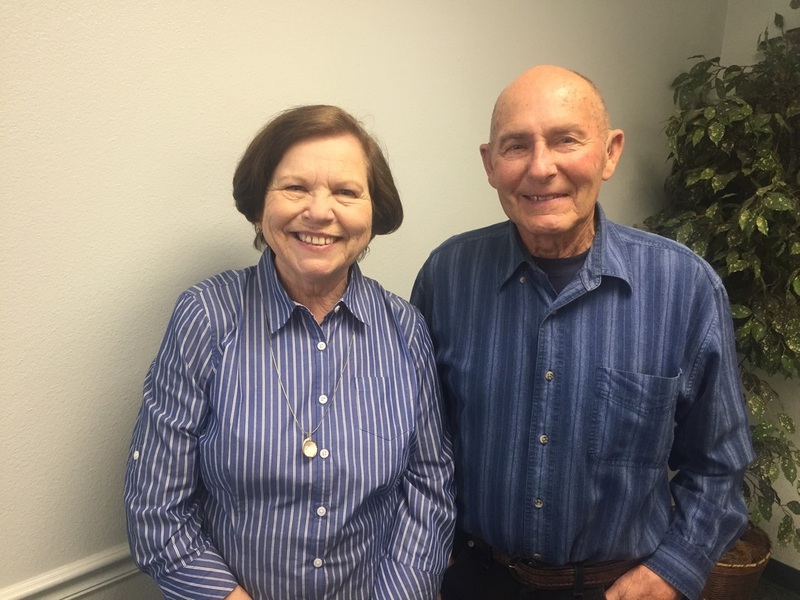 Mary Alice and Tony read about the A Matter of Balance class being offered at the Stanislaus Veterans Center from the Modesto Bee. 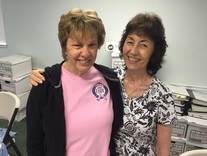 Mary said, “After experiencing frequent falls, extreme dizziness, lack of ability to balance, and discussing concerns with my doctor I decided to sign up for the A Matter of Balance class.” They said, “As a result of the A Matter of Balance Program we feel we are no longer alone with regards to talking about falls. The small group setting helped us make plans to prevent falls and we can start exercising knowing why certain exercises will help us get better." Mary Alice and Tony now have changed the way they view fall risk situations and have great resources provided by the instructors to help prevent falls. 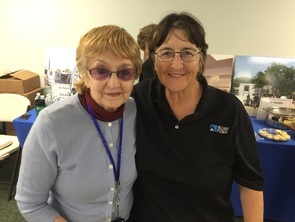 Joene heard about the A Matter of Balance program at the Healthy Aging and Fall Prevention Summit and decided after having fallen several times she wanted to take the steps to prevent any future falls. She recognized her husband becoming very unsteady on his feet and she wanted to do everything possible to help them prevent falls from happening. Joene felt like she learned a lot from the instructors and stories shared by the other people in the class. She mentioned, “I think more positively now after taking the class and I stop and think before acting to prevent falls especially around the house". ​Nelson read about the upcoming A Matter of Balance class in the Modesto Bee and was encouraged by his wife to join the class after having a few falls. 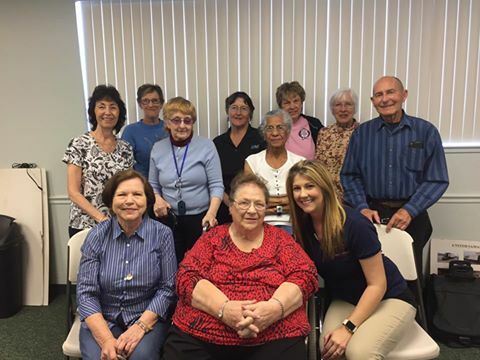 He really enjoyed the coaches who lead the class and expressed, “I learned that I could keep up with a schedule and that there are more helpful classes available for older adults”. Nelson mentioned, “I can get better, I want to get better, and I am getting better”. ​Jeannie learned about the A Matter of Balance program from a friend at church. After having several falls which led to spinal injuries, she decided to look into the A Matter of Balance program. Jeannie liked that the A Matter of Balance program focused on changing the mental impression older adults might have about a fear of falling. She said, " I now has a more positive attitude about topics discussed throughout the program and I'm eager to share this knowledge with others who may benefit from the information". ​Leonore heard about the A Matter of Balance from an article she read in the Modesto Bee. After having a hip replacement, she decided the A Matter of Balance program might help prevent her from experiencing a fall. Leonore mentioned, “I appreciated the coaches who were delightful women and I received a lot of ideas from the other participants”. The A Matter of Balance program has helped Leonore take safety measures in her home, such as, adding grab bars in the shower. She also stated, “I am now more aware of my surroundings and I am more assertive when asking for help”. Robert heard about the A Matter of Balance program from a friend after having a fall on his porch steps. Robert completed all 8 classes in a row and was very grateful with all the information he received from each session. Robert really appreciated the class and maintained a positive attitude throughout the program. Robert found the exchange of ideas among class members extremely helpful especially when setting an exercise program for himself and staying with it. Susan and Manuel saw the ad for A Matter of Balance in the Modesto Bee and decided to join the class to learn more about fall prevention and exercises to improve balance. After attending 7 classes Susan and Manuel mentioned, “This information was very useful not only for us but for older people in our family and there are so many resources available to help with fall prevention.” Their favorite parts of class were the instructors, class interaction, and the A Matter of Balance work book. Manuel and Susan have both experienced the importance of slowing down and keeping each other accountable in their exercise programs. They also have improved the lighting in their home, added grab bars, and are no longer wearing flip flops. Laurie learned about the A Matter of Balance program from the Patterson Irrigator newspaper. Laurie mentioned a concern about balance and decided to check out the program being offered at the Stanislaus Veterans Center. 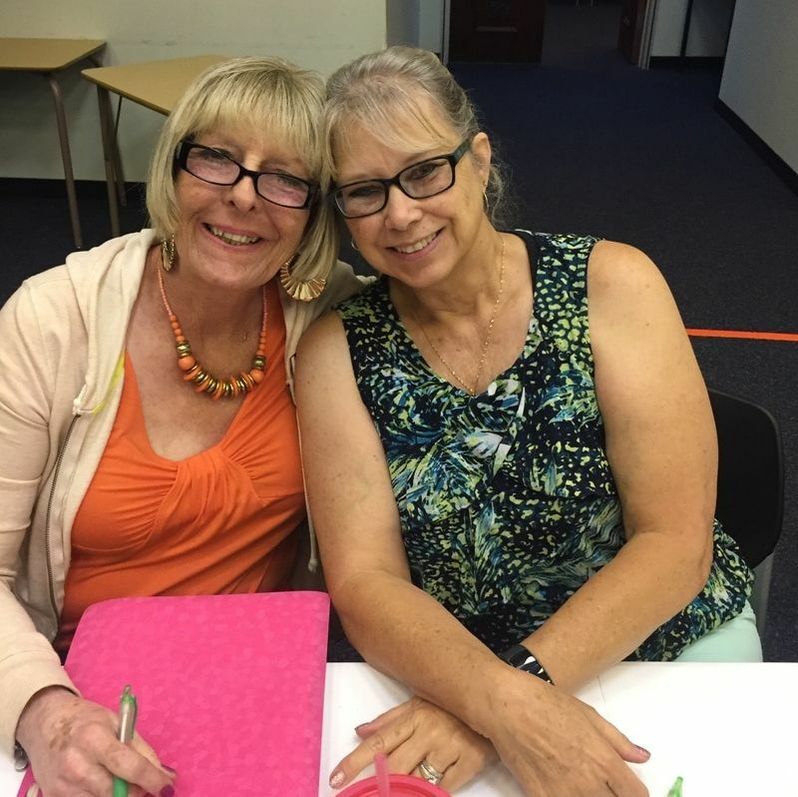 After completing all 8 sessions of the program, Laurie stated, “I liked the interactions between the participants and the information or ideas we could share with each other”. Laurie has now begun to slow down in her daily life in order to prevent falls from happening, incorporated exercises learned in class to her daily routine, and no longer wears flip flops. 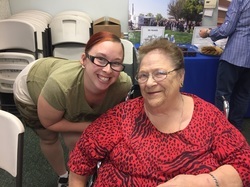 Clara has been attending the Young at Heart class for 10 years and the instructor was an A Matter of Balance Class and explained all of the benefits of the class. Clara was interested. Clara attended all 8 sessions of A Matter of Balance and she is going to try to slow down in everything that she does, but she is going to continue to exercise in the Young at Heart Class three days a week. Clara is very sure that she can find a way up if she falls and she is very sure that she can protect herself if she does have a fall. Kim and Martha have been attending the Young at Heart S.T.E.P.S. program at the mall. When they met at the mall to report their miles, Healthy Aging Association told them about A Matter of Balance. Martha was very intrigued because she was tripping over her own feet and she takes care of her mother. 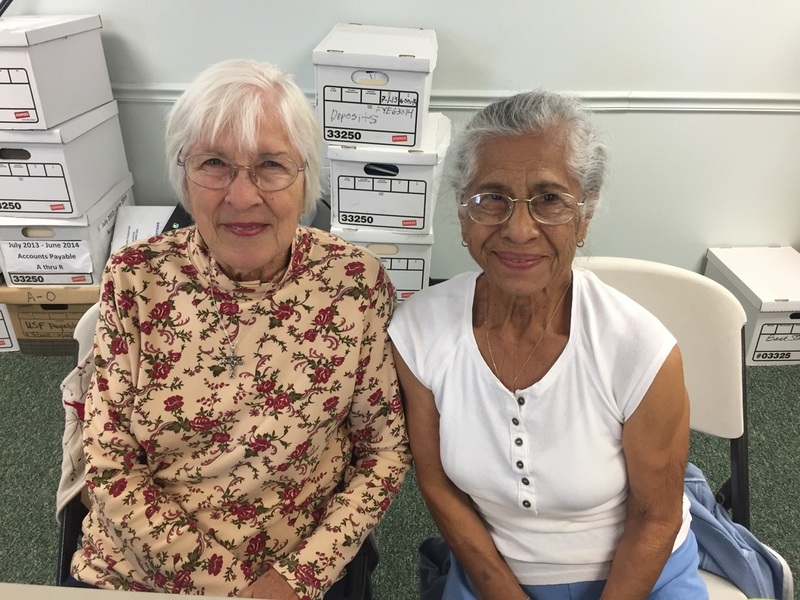 They both loved the class, they met new people and the small group became friends, motivated each other and there was laughter in the ugly subject of Falls! Because of this class they know how to reduce falls and know that they must keep moving, because "movement is freedom". Anna found out about A Matter of Balance from the newspaper. She was interested because she had a number of falls and has broken her shoulder because of a fall. She did not know how to reduce her chance of having a fall and did not know how to protect herself if she did have a fall. Because of A Matter of Balance she is positive that she can increase her strength to prevent falls and to become more steady on her feet. She also knows how to protect herself if she does have a fall and how to reduce her chances of falling. She now has positive emotions about the subject of falling and may even join a Young at Heart Class. Lois attended 6 of the 8 sessions of A Matter of Balance. Lois saw the ad in the Modesto Bee, that a balance class was coming to Turlock. The balance class intrigued her because she had several falls and total lack of confidence upon occasion. Lois liked the content of the class and that the class kept moving, so that participants didn't have lots of lag time. 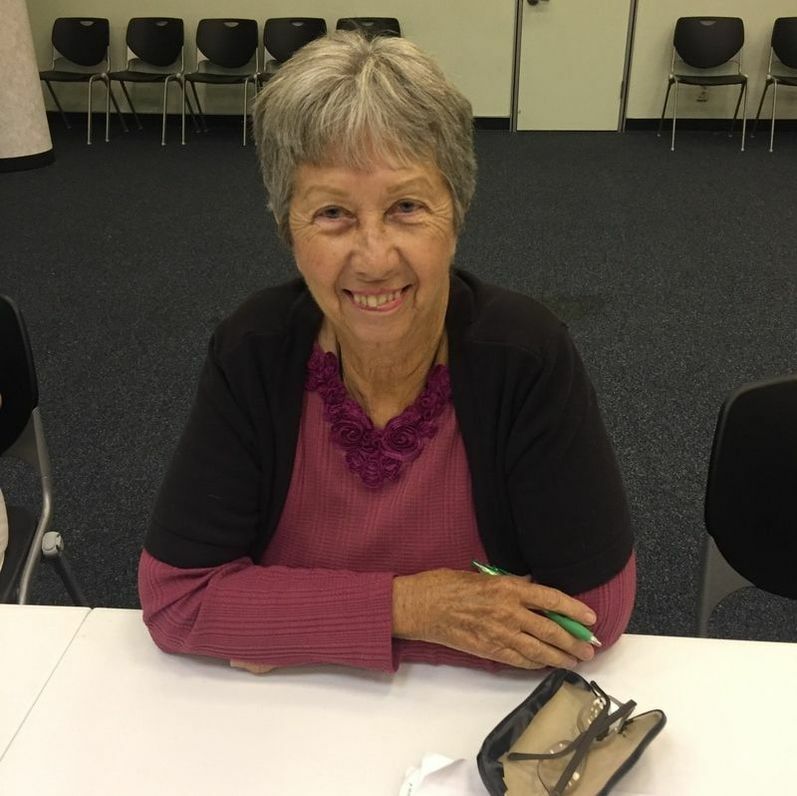 Because of A Matter of Balance, Lois has started back at the Turlock Young at Heart class, after take a few years off because of her shoulder. She also bought a cane, in case she needs a boost of confidence. This wonderful lady on the right is Bobbie. Bobbie saw in the Modesto Bee that the Healthy Aging Association was looking for volunteers to become certified A Matter of Balance Coaches. Bobbie has fallen a few times due to her inner ear problem and it has been hard for her to stay motivated to be consistent with exercise. Bobbie encouraged some friends to join the 8 week class. Her friend Avril (pictured on the left) completed 7 of the 8 classes. Avril use to be a runner, ran every day until her stroke, 2 years ago. Because of the stroke, Avril has had several falls. Bobbie loved co-coaching her first 8 week session of A Matter of Balance at the United Samaritans Foundation in Turlock. She loved the group activities, the positive environment, and that the program supplied her and the participants with concrete tools to help from today forward. Avril enjoyed that the program made her more cognizant and more positive. Avril now has a different point of view about how she is able to be positive when it comes to falls, and falling. Bobbie's life is different as a result of the A Matter of Balance Program. She has been exercising more and has noticed increased flexibility. She has learned how to be assertive and she stated, "I have knowledge on how to take care of myself better, being compromised in my balance due to inner ear problem, joint problems, and vision problems." Sometimes, a partner can make all the difference. Find a friend, relative, or neighbor and join a program, we are sure it will help motivate one, or all partners. Josie (74) first saw the ad in the Modesto Bee and told her friend Patti (76) about the class. Josie decided to join the class because of several eye procedures, her vision causes depth perception to be off and she has fallen several times. Patti said, "I came with a friend. It was a good move on my part. I learned ways of taking care of myself." Their favorite part of the class was the instructors and the ease of the exercises. Their life is different because of A Matter of Balance. Patti has learned to be aware of her surrounding and to slow down and watch whatever she is doing. Josie is now trying to slow down more as well. She is hoping to continue exercising so she can become more confident in her walking and balance. Della heard about the program from Bobbie. She was unable to make it to the first session, but completed 7 classes in a row. Della's caregiver Kayla also sat in on all of the sessions, because Della has had many falls. Della really appreciated the class and how to keep a positive attitude, which in turn helps. Because of the class Della is trying to slow down and think before she gets up, she is more at ease in her own home and "not as fearful of falling". ​Lorraine saw the ad in the newspaper and signed up herself, her friend Rachel, and her sister Lillian. Lorraine joined the program because she wanted to learn more and Rachel wanted to learn how to continue being independent. They both enjoyed the class, they learned and had fun too. Lorraine went thru a lot of improvements with her husband prior to this class. Lorraine said, "It was helpful to redo-information". This wonderful couple heard about the program from their former Young at Heart Instructor, Kim (who is now the Director of Health and Wellness at HAA). Gerald joined for better health where Barbara said, "as I aged I felt I needed to learn to be more careful." They enjoyed that a Physical Therapist came and talked with the group. They were able to have some questions answered and learned new tips and tricks. Because of the program, they are more careful climbing on objects, they now use a proper step stool. They changed out some scatter rugs, and fixed some of the lighting in their house, and they moved items they use frequently to lower shelves in the kitchen.